I follow a few photography and wedding photography blogs. And I have seen photo booth photos using fake mustaches. What a fun idea that I must try. 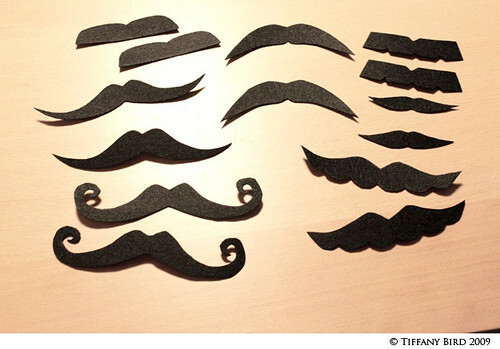 Searching online, I found fake mustaches within pretty reasonable price range. However, top it with the shipping and handling fee, it’s more than what I would like to pay for fake mustaches. How about some DIY ones. Probably a good idea for Halloween, too. Super simple and cheap. If you make something using this tutorial, please upload pictures of it in our Flickr group to show it off to everyone. You may be featured on Simply Modern Mom. 1. 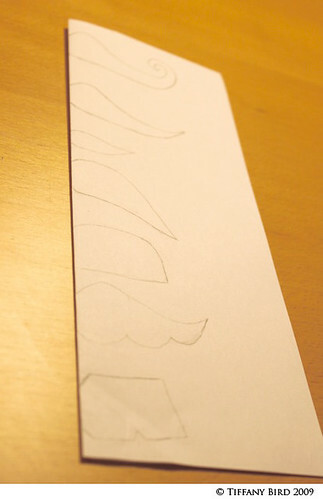 Fold your paper in half lengthwise. Then sketch half a mustache. And cut them out. 2. 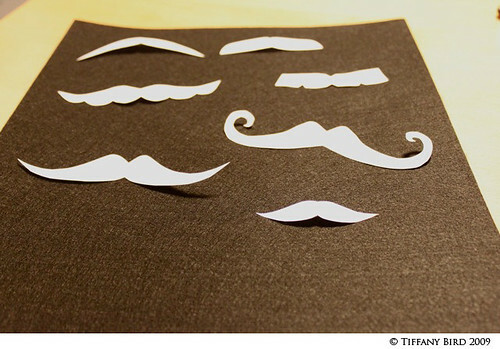 Lay mustaches on your felt and trace each mustache pattern twice. I used a regular pencil. 3. Cut out the felt pieces. 4. Color one end of the dowels with black permanent markers so it matches the felt. 5. 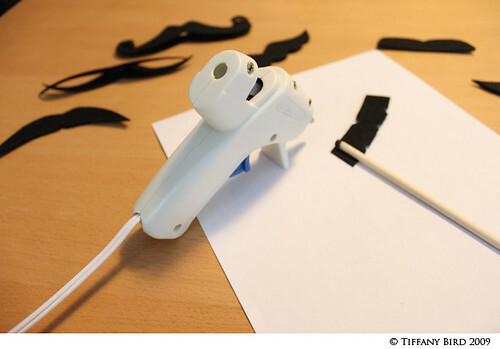 Use the glue gun to glue the dowel to one side of the felt mustache. I like to have the stick at an angle so it doesn’t block the person’s face. 6. 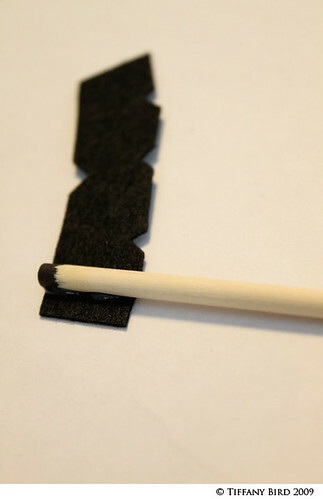 Use the glue gun to glue the second piece of felt to the first piece and dowel. Those are awesome!!! I love the picture. Cute idea Tiffany! I think my toddler would look fab with a little mustache! But you must pay the rent! 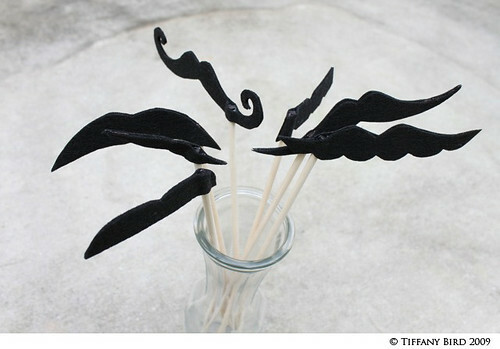 Did you ever play that game?….these mustaches are perfect for that! So cute! Thanks for the link. This is a great tutorial! BWAHAHAHAHA! I am totally making some right now! 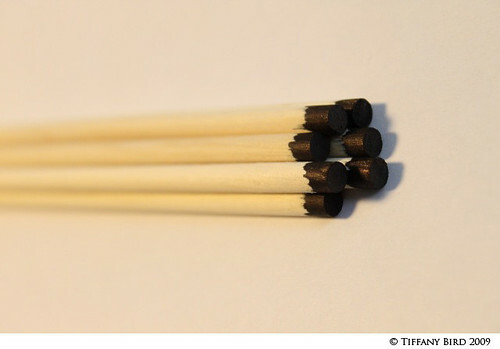 BUT I’ve altered them: I have made them so they are removable and fit on a pencil instead of gluing them to a stick! I’m gonna send some to my nieces/nephew so they can take them to school! BWAHAHAHAHAHA! I am the coolest in the world. Awesome! I’m totally going to make these, can’t wait!!! 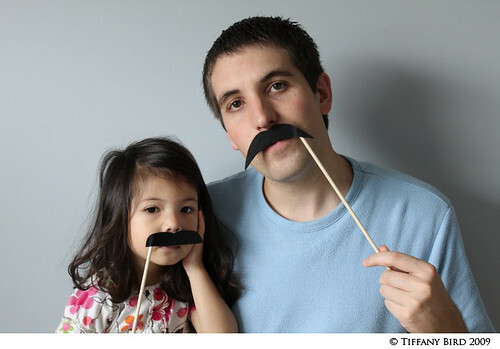 Love this – will use it at our DIY Photo Booth! I bought an item at a convention and the vendor owed me 50 cents change. He didn’t have it, so he asked if I would accept his Mustache on a stick instead. I agreed and suddenly I became very popular. Everyone around couldn’t help but smile. I gave it to my Daughter (age 18) and suddenly everyone started talking to her in crazy foreign accents. Pure Joy! It’s all about mustaches with us this year. First the chocolate ones and now I’m going to make these for the school Mall Day! 🙂 It’s for the photo booth. I’m glad you posted the tutorial forever ago. You make my life easy. i want to see a picture of that! awesome! Excellent tutorial! I am always on a lookout for props for personal and client sessions. It’s perfect and very easy to make. Thanks!